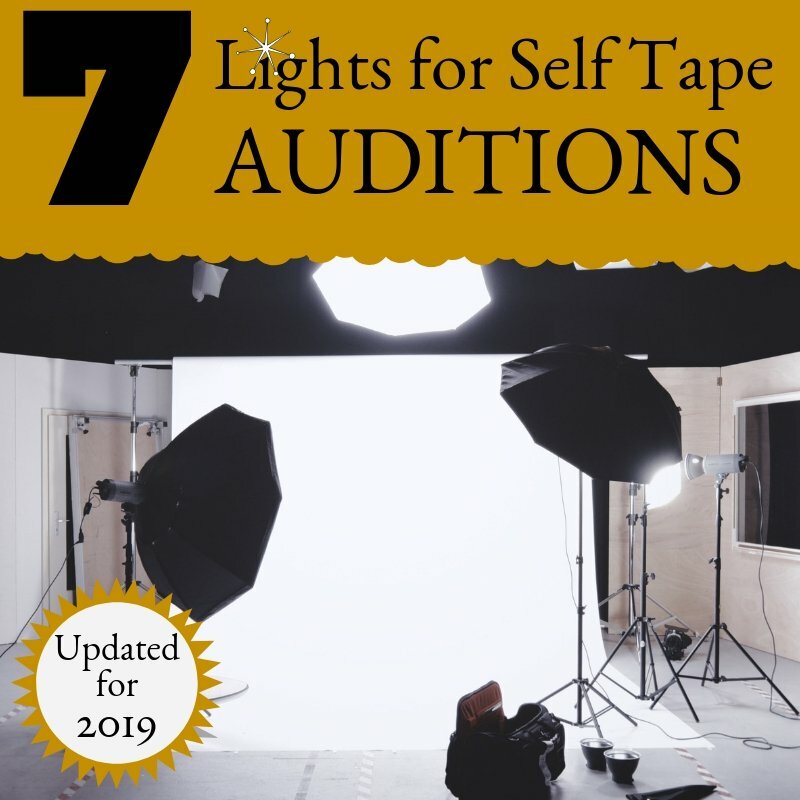 This list of 7 pieces of self tape lighting equipment (and some extras) is built to get you up and running with some good, budget friendly equipment that will make your self tape auditions look better so your brilliant work stands out. When it comes to self tape auditions your first focus needs to be can you be seen and can you be heard. After that it’s all about the acting. Yes, you can get more intricate with your set up to make it look more cinematic, but it’s going to be viewed for about 2 mins and then they will move on. Having a neutral back ground (preferably not white) and good sound (even a mic) will improve the quality of your audition as well. 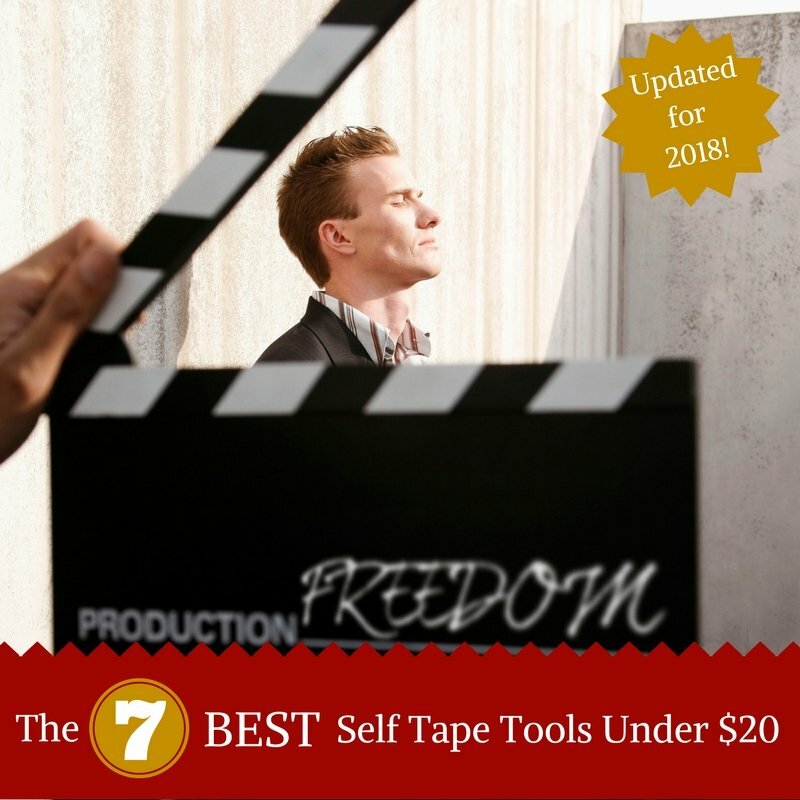 You can find a full list of self tape gear under $20 here. This is a great kit at a great price. The easy set up and puts out a lot of soft, white light from both sides of the camera. I use the Fovitech version of this set up which you can see in the video review below. Plugs into a wall outlet or an extension cord depending on your location. Bulbs included. Not dimmable. 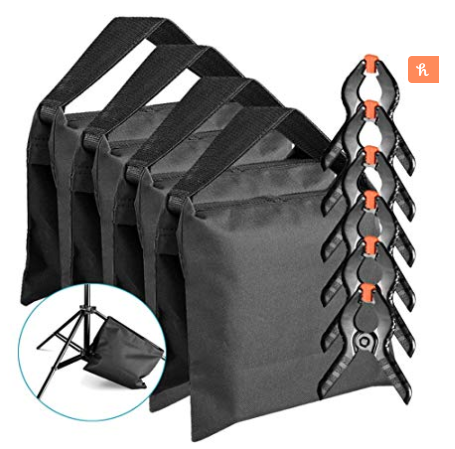 Comes with a carrying case and everything packs up small so it’s actually easy to carry. 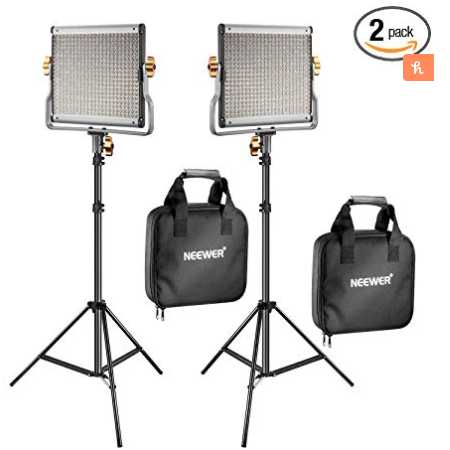 Neewer 2 Packs Dimmable Bi-Color 480 LED Video Light and Stand Lighting Kit Includes: 3200-5600K CRI 96+ LED Panel with U Bracket and 75 inches Light Stand. Another 2 light set up this time with LEDs. This kit is compact and travel friendly. It’s perfect for a small apartment or if you need to bring high quality lighting with you. Personally my favorite set up. This is a cheap kit that is very small and compact. While it’s great for travel or in a pinch, you will have to get the lights quite close to light you well. 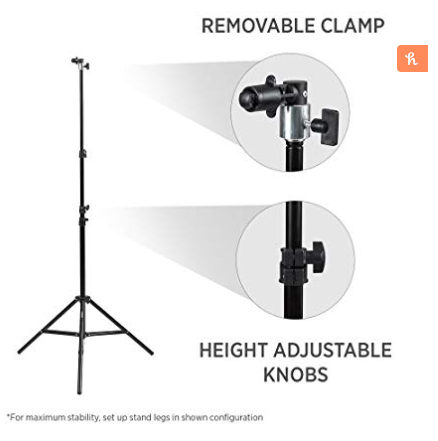 Since the stands are so short, you will also need to find some way of raising them up to head and shoulders hight since that is generally how you’ll shoot your self tapes. Remember I said you could go the extra mile to make your videos look more cinematic? Three point lighting would be how you do that. Again, your acting wins the audition and if your’e not right for the role don’t blame it on the lighting, but with a set up like this you could certainly shoot some very good looking scenes. 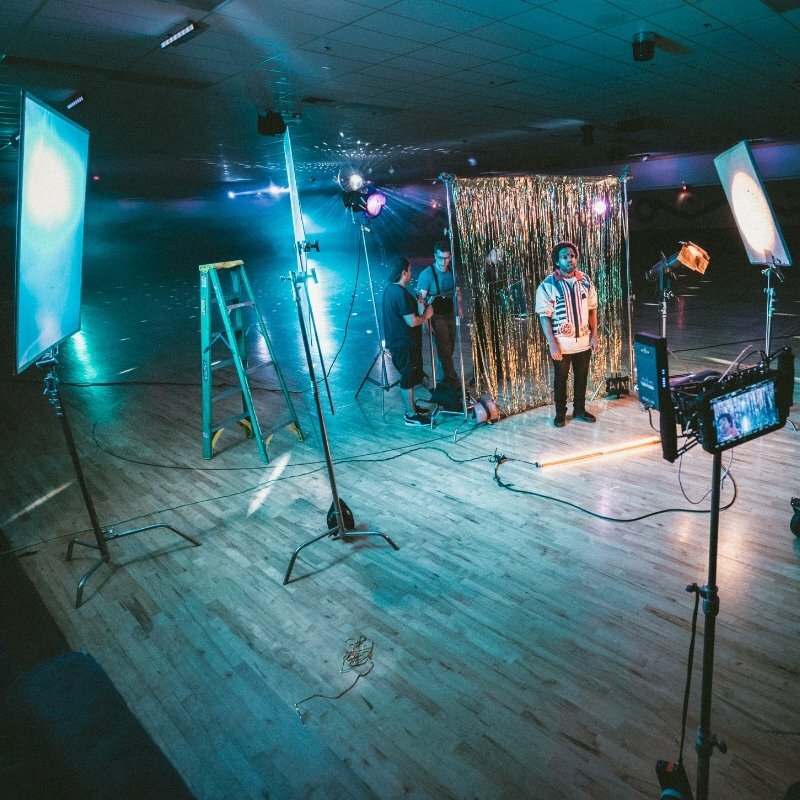 Check out this great tutorial from Shutterstock on three point lighting. The video will start at the 2:52 mark where the concept is broken down. This is a solid set up at a very good price. You get a lot of light plus the adjustability of the “hair light” or “back light” that you can set at high angles really helps. Your videos will be more dynamic, better looking and take very little set up time. Again the advantages or LEDs are many. They are not hot, compact, easy to move and transport, conserve energy and give out a ton of light. 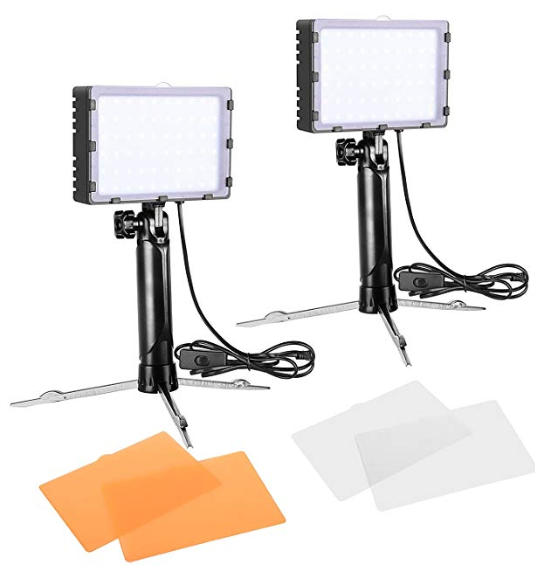 For just a few bucks more than the soft box set up you can have 3 high quality, durable, and dimmable lights that can be used anywhere. 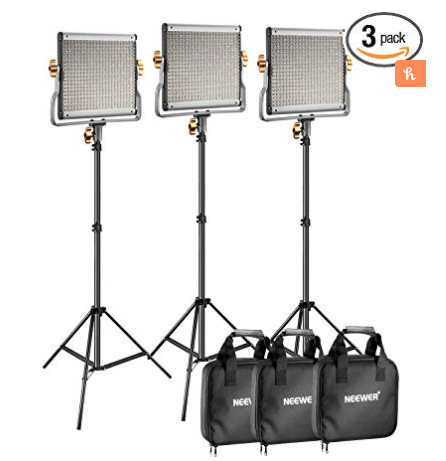 Note: The three stands are just straight light stands so you will need a C-Stand or some other fixture to get your third light to hang overhead. 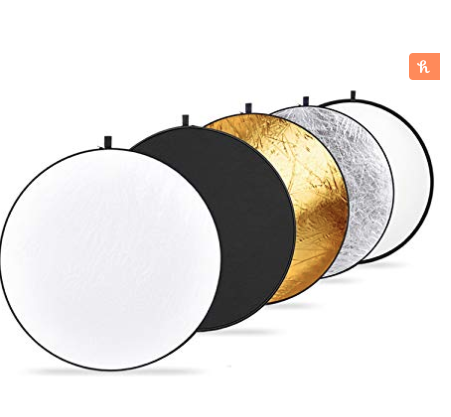 Ring lights have certainly become a fast and easy solution for our video happy culture. 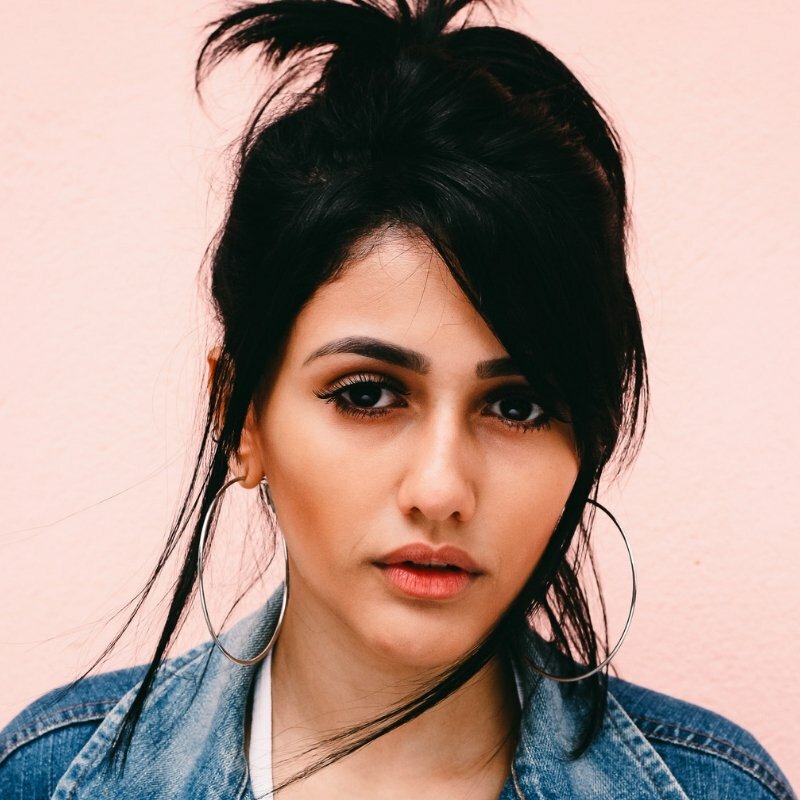 (OMG…Everyone uses them on social…) They can work for self tapes but you should be mindful of only having one light source and that you may not like the look of the ring light reflected in your eyes. If you use one, you can play around with it to achieve the best results. These are extremely popular for a reason. The are fast and easy to set up and even allow you to mount your phone in the middle. The ring does give you light all around your face and is dimmable. The downside is that there is little versatility so you cannot truly “sculpt” the look of the light. It’s mostly front bright light, and the closer you get, the more you see the ring light reflection in your eyes. That could be distracting. This is a pretty handy device. 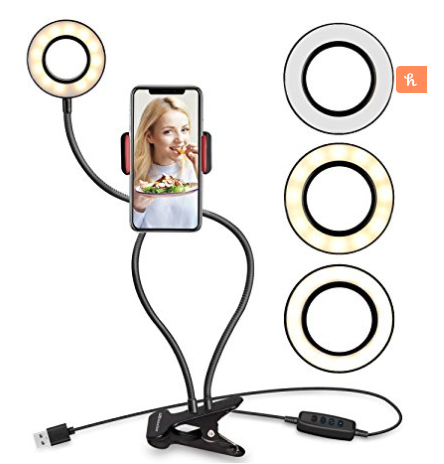 While you may not want to shoot all your auditions on it, if you’re traveling or need to sit in front of your laptop for an interview this small ring light could help out. Plus, the hands free phone holder opens up a lot of options. Just know that it will work best with you no more than 12 -18 inches from the light. 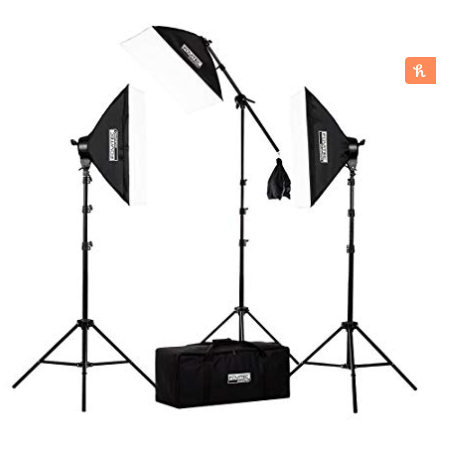 I’ve added a few extras that can help boost your lighting efforts. You can shoot without these, but I think you’ll find them pretty handy no matter what type of video your may be shooting. These are all pretty standard pieces of equipment. Some of the best lighting you can get is daylight. But sometimes you may need to reflect some of that light so you get even lighting on both sides of your face. You an have to do this with your lighting set up as well. A versatile bounce like this one can diffuse, block and reflect light in a variety of ways and will certainly become a very handy piece of gear in you kit. 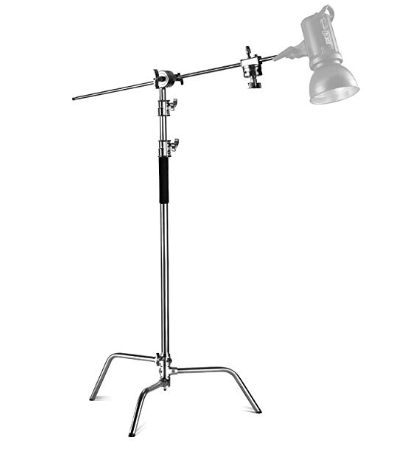 You need something to hold the reflector, backdrop, or lights…this is it. Ok. This is a more serious light stand. Known in the industry as a C-Stand, this is a sturdy piece of equipment built to hold lighting, reflectors, backdrops, props, or what ever else any where you like. You could drop this off a truck and it would be fine. A solid all around piece of equipment. 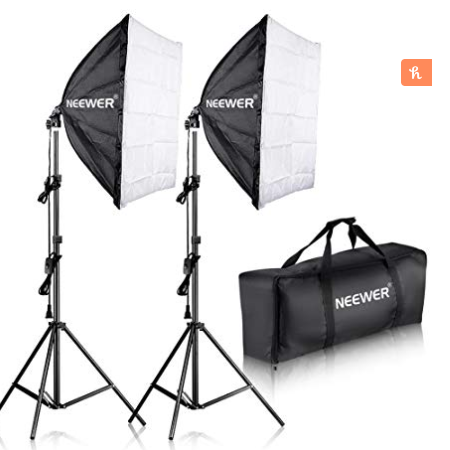 Use the sandbags to hold your light stands down and the clips to hold your backdrop or reflectors up. Note: You have to fill the sand bags. Be thankful, cause they can hold 20 pounds each…you don’t want to pay for that shipping. There you have it. 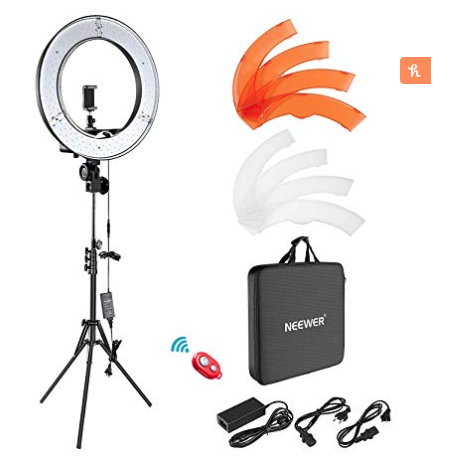 A great selection of affordable lighting that will certainly take your self tape auditions to another level. 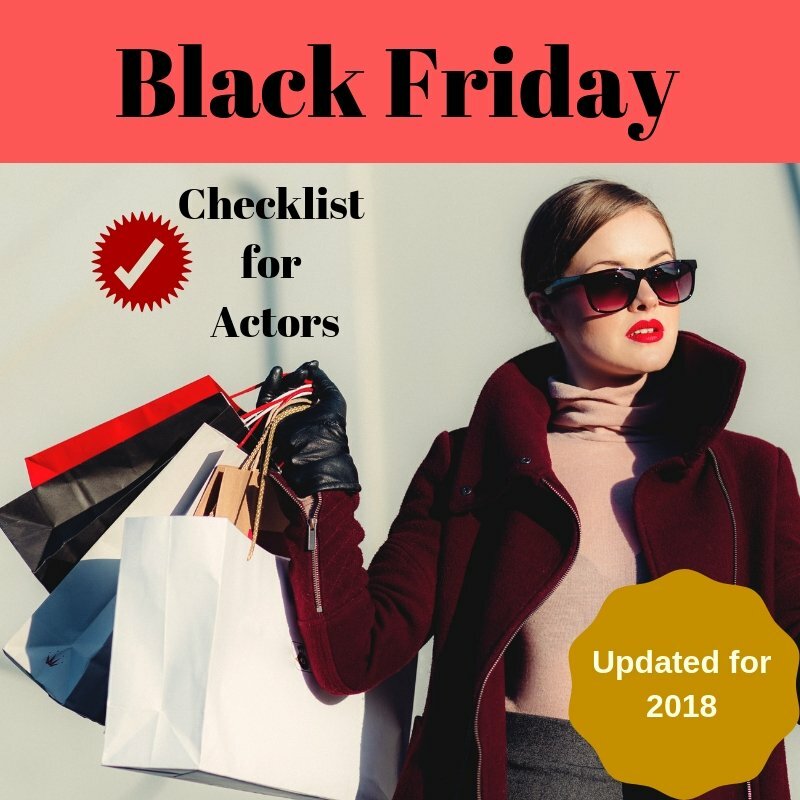 You know that self tape submissions have grown in popularity and the fact that we can submit easily from anywhere is a huge advantage to the modern actor. This will only become more common. You should take your self tape game seriously and ensure you are showcasing your work in the best way possible. Don’t let poor lighting, a wrinkled background or bad sound distract form your solid work. 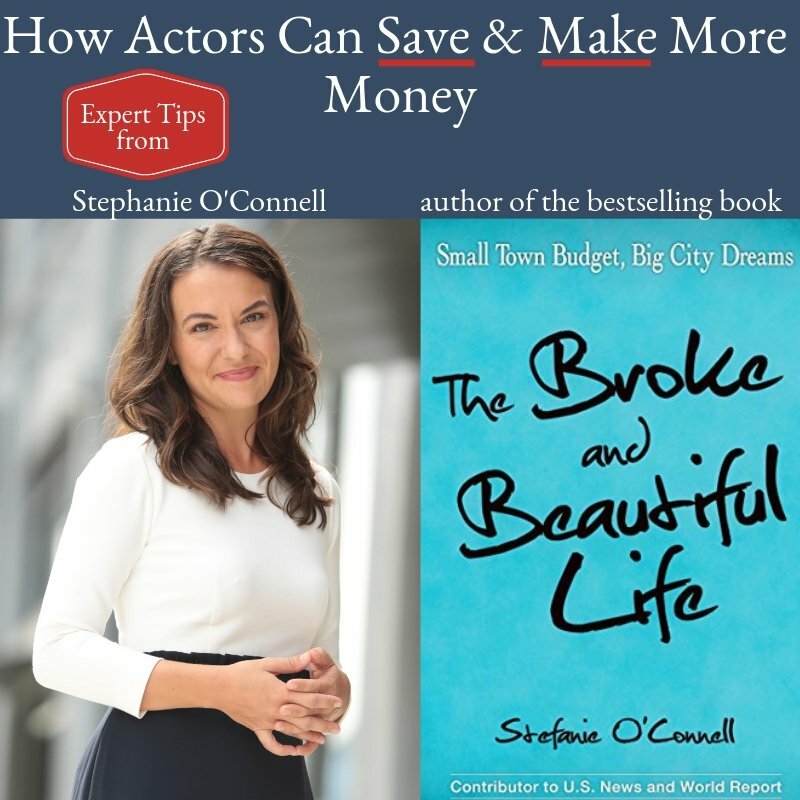 Find more resources and insight in the blog articles below. 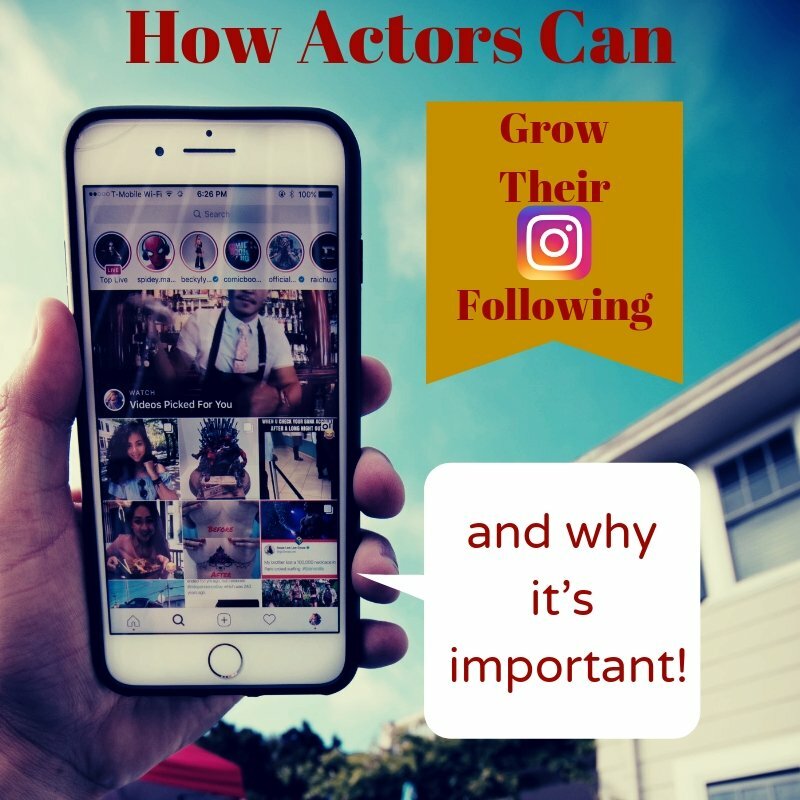 Take a look at some of our most popular posts!